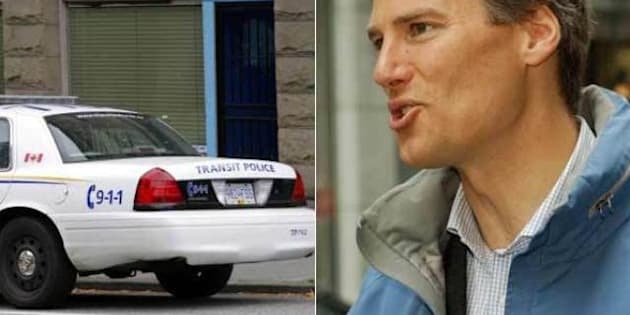 Vancouver's mayor is questioning the need for Transit Police when cities in the region already have their own police forces to cover trains and buses. Gregor Robertson said he wants to see TransLink focus on transportation rather than transit policing, according to News 1130. "We have great police forces here in Metro Vancouver and perhaps we should be using them instead of having a whole different force that’s more expensive to run," he told the radio station. Robertson isn't alone in his concerns. The Metro Vancouver Mayors' Council has asked TransLink's independent commissioner to compare the costs and services of the Transit Police against regular police forces to determine whether the transit authority could save some money, the Vancouver Sun reported. Delta Mayor Lois Jackson says she wants the report to "illustrate the magnitude" of the Transit Police. The Canadian Taxpayers Federation called the Transit Police a "redundant" force back in October 2012, adding that the SkyTrain is "over-policed." Transit police chief Neil Dubord argues that it would cost taxpayers more to get rid of the force. He said if the force were scrapped, cities would have to hire more officers to replace them, the Vancouver Sun reported.